Cutting in the kitchen just got more elegant with our personalized name and initial cutting board. 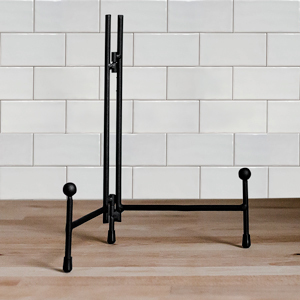 This custom family cutting board is a heat-resistant glass board that measures 15¼” x 11¼” and features a textured cutting surface with attached feet in all four corners. 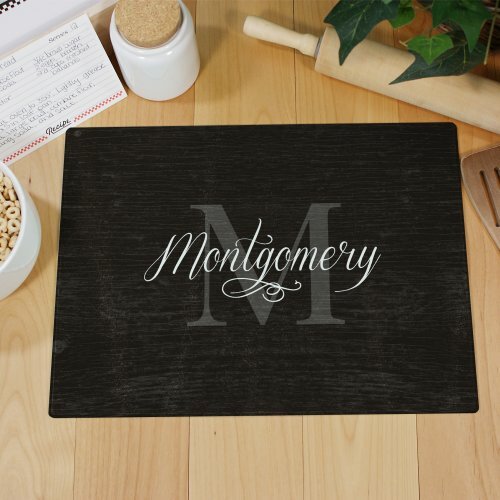 Your personalized cutting board comes beautifully engraved with any family name and initial. It's a personalized cutting board that has multiple functions: It also adds a beautiful element to your kitchen's decor. Much better then expected, very good quality. Will definitely buy again. Liked it a lot. The typestyle is beautiful. I would of given it 5 stars had the plastic tabs for the bottom of the cutting board came with 2 on the top and 2 on the bottom. I'm concerned they will not stay on the board very long and that could be a future problem.